SOMETIMES I USE DIFFERENT BRANDS FOR THE DIFFERENT COLORS. SOMETIMES I LIKE TO TEST OUT NEW/DIFFERENT PRODUCTS I HAVEN'T USED BEFORE. 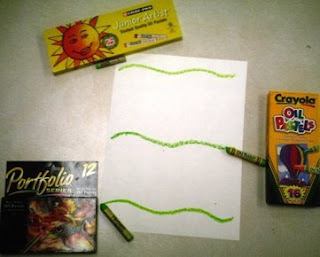 HERE IS WHAT I FOUND OUT ABOUT SOME OF THE DIFFERENT OIL PASTELS ON THE MARKET! I'D LOVE TO HEAR ABOUT WHAT YOU USE IN YOUR ART ROOM! 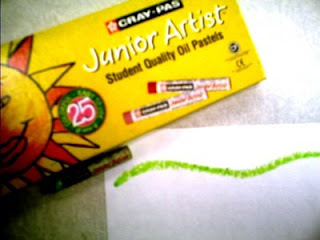 Here are the three types of oil pastels I use in my art room. I really like Crayola's Oil Pastels. They have a great hexagonal shape so they don't roll off the table while the kids are using them! They have a great color & go on fairly smooth. The paper around them are a bit tough to peal as they begin to run down. Worth the price!! Cray-Pas Junior Artist Oil Pastels are an oldie but a goodie. They are pretty soft(which doesn't translate to smooth application unfortunately)...which can be a problem with heavy handed children. They do have a great variety of color & they blend well! Very affordable! 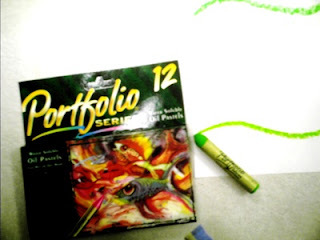 If money was no object, I would only use the Portfolio Series Water Soluble Oil Pastels. The colors are amazing & their application is smooth as silk! The two downsides to this product is price & the paper that refuses to peal off!!!! As a grown-up I had trouble trying to remove the paper from around the oil pastel! I love the Portfolio oil pastels, not only for their smoothness but for their ability to clean off little fingers quickly! 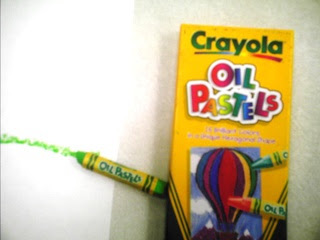 My 'oldie but goodie' cray-pa brand oil pastels tend to give me quite a hassle when it is clean up time.